An email will be sent to you once the tracking number is generated. Please allow 1-2 business days for items that are in stock to be shipped. Pre-order shipping times vary. Additionally, please see the description of the product item. In that description, you will find estimated shipping times. If you have not received an email with your tracking number after 5 business days (for items in stock), please check your junk/spam inbox or contact us unless you pre-ordered an item. Pre-order shipping times very specific to each item. 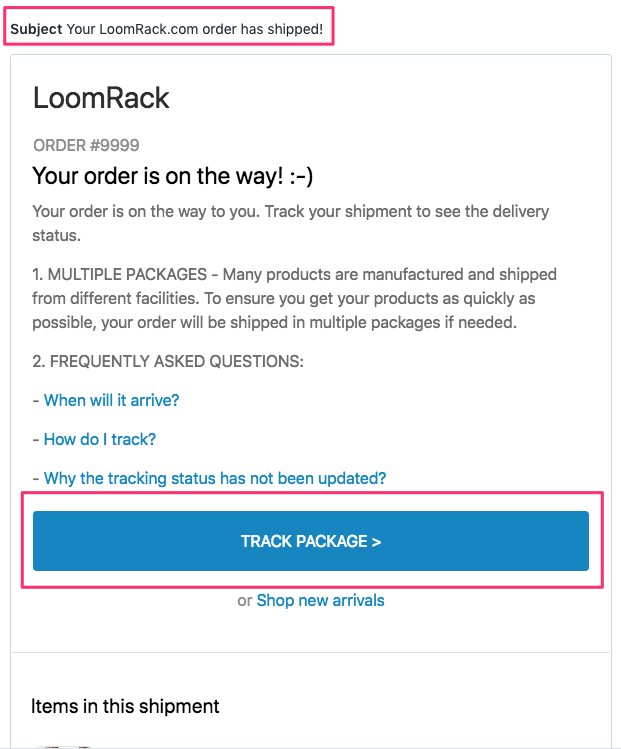 Shipping emails with tracking are sent to the email address you entered on the order. Once your item is shipped we will provide tracking and shipping information to that email address only. Please be sure your mailing address is correct as we may not be able to change your address once the order is shipped.